"Look who's here!" Sandeman Sherry - "You'll like it". 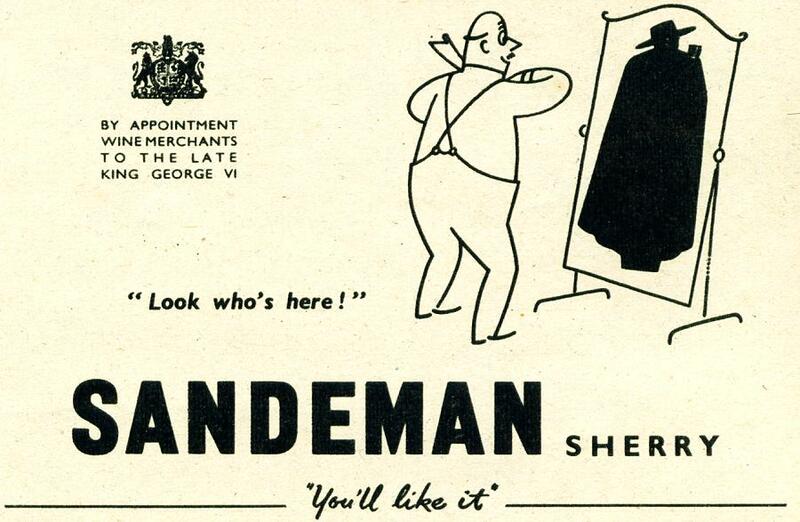 As a very small child, I used to find that dark, faceless figure of the Sandeman Sherry man rather creepy! The Michelin Man, in his original form was equally disturbing!